I love nature. I don’t get tired of saying it. Therefore, I love going to the zoo and the aquarium and other places like that. I have recently discovered a new place that I love and not enough people know about: The Texas Discovery Gardens. The temperature is about 85 degrees; you can smell the wet soil and feel the humidity rising from the ground. I learned that butterflies only live about 14 days. That’s right, butterflies are born,grow, reproduce and die in 14 days. This is something not many people know about butterflies but that Watts, the entomologist at the Texas Discovery Gardens, teaches everyday. The Texas Discovery Gardens are located inside the State Fair near the northwest main entrance, and is open year round. The Gardens’ focus is to teach visitors to garden organically and sustainably, and how to conserve and preserve nature in an urban environment. 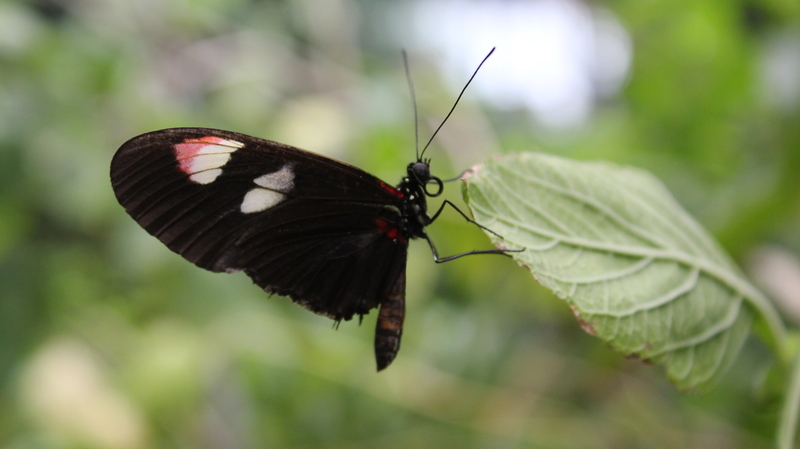 The most popular attraction inside The Gardens is the Rosine Smith Sammons Butterfly House and Insectarium. 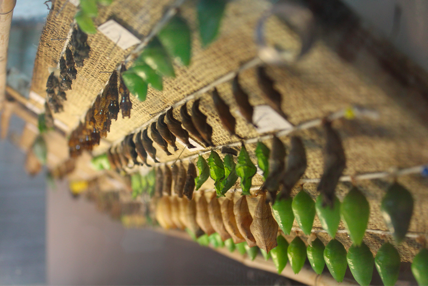 This is home to about 800 different species of butterflies from all over the world and other creatures… like “Poo”. 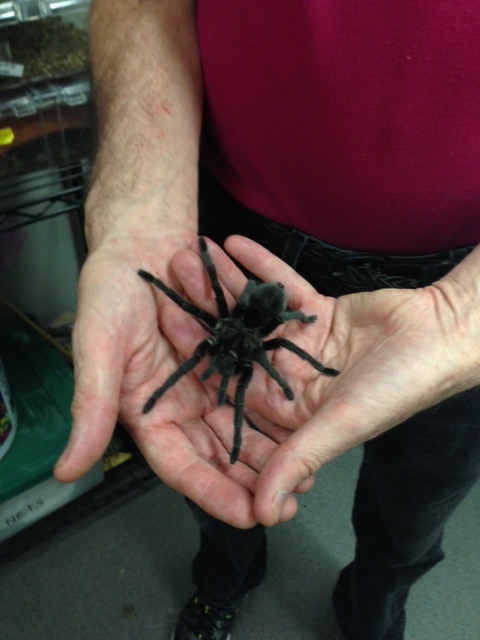 Poo is one of the gentile tarantulas inside the lab that seems to enjoy being petted by Watts. Most of their butterflies come from butterfly farms.Since most of those farms are in different states and countries the government asked The Gardens to have an automatic double door system to prevent butterflies from leaving the facility. 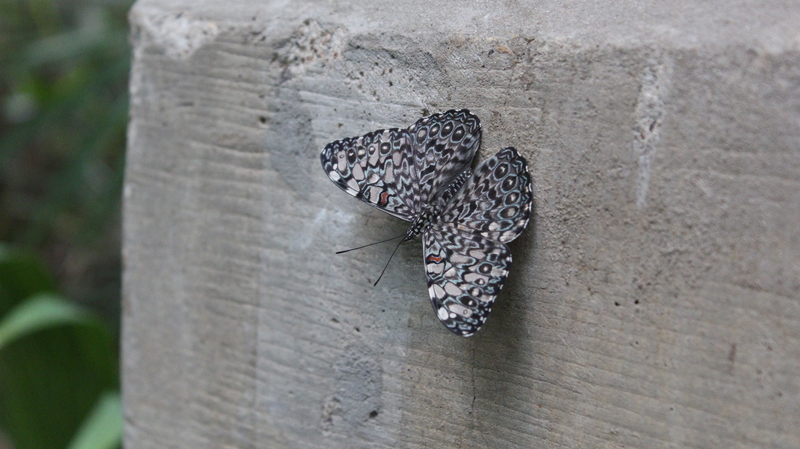 If a non-native butterfly escapes, it would be very dangerous for the environment. These insects are considered a type of pest and there are some that feed off citrus plants. Therefore, if they reproduce in large numbers they would damage the harvest of oranges and other fruits. This facility is not as heavily advertised in the same way the aquarium or the zoo is, because of limited marketing funding. However, thanks to the increasing use of social media lately, places like The Gardens have found a cheaper way to advertise to a bigger audience. Everyday at noon, they have a butterfly release, when Watts releases the ones that have just emerged from their Pupae (chrysalises). When he opens the net to release the new butterflies, everyone stares in awe as the photogenic insects begin to fly towards the plants, adding color to the greenery. Once the butterflies are released, they are not recollected, that will be their home for the next 14 days, the rest of their lives. Here is a map to other places where you can enjoy nature close to the Dallas Metroplex. Let me know if I’m forgetting about others! 08 Mar	This entry was published on March 8, 2013 at 2:43 am. It’s filed under Nature and tagged butterflies, butterfly, dallas, fly, green, insects, orquids, perot museum, postman, rosine sammons butterfly house, spiders, tarantula, texas discovery gardens, wings, zebra, zoo. Bookmark the permalink. Follow any comments here with the RSS feed for this post.